'Masks' was released Summer 2009 on Chuckbeat Records. It is We Be The Echo's 2nd full length album. 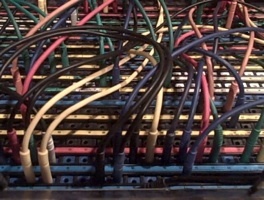 Recorded and mixed at Sharkbite Studios Oakland, CA with Adam Myatt . 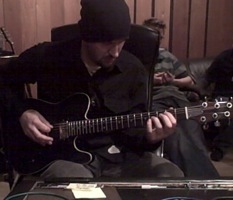 Mastered at Hyde Street Studios San Francisco, CA with Mike Wells. Below is a short clip filmed during the recording of the song 'Miles Davis Dials Mavis' (taken my Matt Deems of Form & Fate). 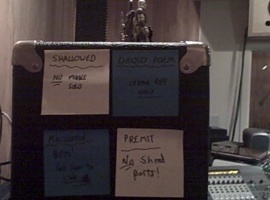 This wasn't the final take but gives a brief glimpse into the recording process of Masks. 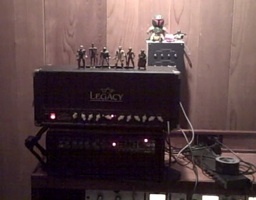 You can hear the Mesa Boogie Mark IV pretty good on this vid. We recorded this album on Pro-Tools for the first time. It turned out pretty good. 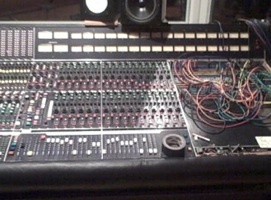 For the techie's out there, Sharkbite Studios have a 1978 Trident TSM desk (apparently used to mix Pink Floyd's 'The Wall'!) that sounded pretty amazing.